Wow, that is a special creation! Love it! 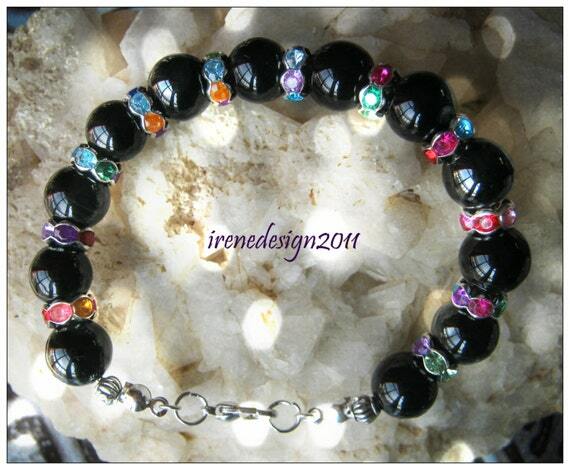 It is such a fantastic idea to combine this dark black with the colorful intermediate pieces. That makes it lighter but leaves that elegant touch! Beautiful combination, really like those gem spacers. I love to experiment with different materials. I like the mix of the black and the colors!